As the new school year is looming, there’s lots of talk about baseline testing for music. What ‘tests’ do people use, how do they convert test scores into levels/grades/whatever the heck they are using in the post-levels era? It seems there’s a real market for the perfect baseline test, one that solves all the problems and provides the solutions. 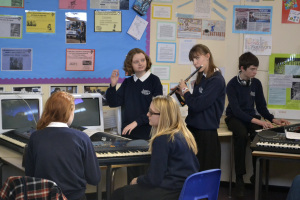 In this post I reflected on the minefield that is often the start of the year 7 experience in music. But whose baseline is it anyway?